A family ski trip may be one of the best trips you’ll ever do. Taking the family away on a trip where the whole family is outside all day and tucked up together in a cozy chalet at night makes for incredible memories. The secret to planning a ski trip for your family is knowing your options and knowing what’s important to you. The best family ski trips embrace winter and quality time with your loved ones. 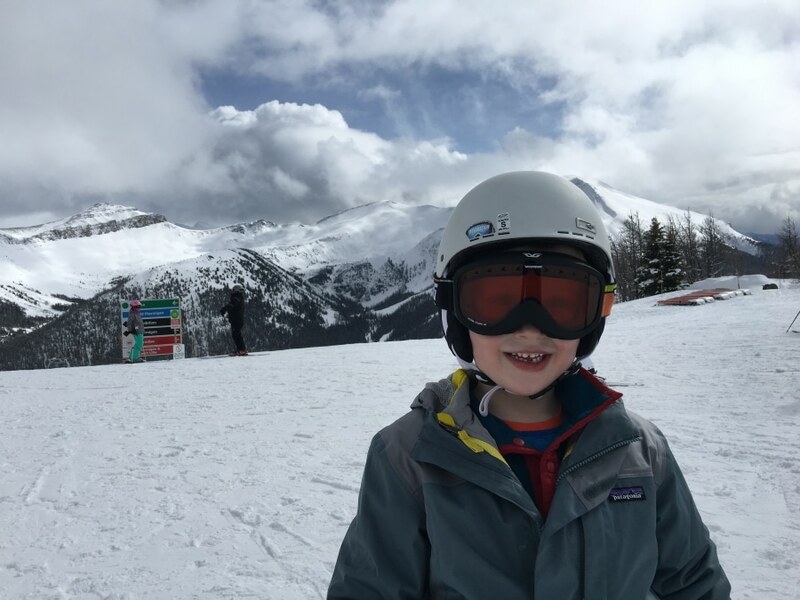 Here’s some quick tips to having a great family ski trip in The Rockies, Utah, The Alps, Whistler, or Colorado. As humans, we’re often compelled to shun winter and stay indoors. A vacation in the winter usually revolves around escape: Mexico, Cuba, Hawaii, etc. Those are all fine choices, but you can’t run from winter forever. This winter why not try embracing the season and create memories with your family. Many families have kids that are excited for winter, especially an annual ski trip. A family ski trip is a remarkably relaxing way to spend your days: getting fresh air, being active (which means sleeping better), and growing and learning with your family. Trade waiting in lines and temper tantrums for rolling in the snow, board games and lots of laughing. There’s something about learning, adventuring, and making mistakes on a ski hill that gets us giggling. A ski trip is a learning trip. Each family member typically sees improvement during the course of a couple days, and this is especially true when you do a week-long trip. Your kids immerse themselves in the activity, and they’ll be noticeably better at the end of the week. This is great for their self-confidence and it gets them trying something new. It’s also, obviously, an opportunity for the family to do something together: riding the chairlifts, talking about the run you just did, or joking about the fall somebody made. The family becomes a team during these trips, working, playing and having fun together. But the ski trip isn’t just during the day. Some of the best memories are at night. Evenings are typically spent as a family, reliving your day’s achievements, talking about plans for the next day, and curling up next to a fire. The best trips also include family meals, board games, sledding, horse-drawn sleigh rides and a giant outdoor bonfire. For the adults, a bailey’s and coffee marks the end of a wonderful family day. And did we mention the long sleeps you’ll all get, worn out from a great day outdoors! What type of resort suits you and yours? A ski-in/ski-out, purpose built resort is great, but sometimes limiting. Most fun, little ski towns have charming main streets but then they require a drive to the slopes. With younger kids we sacrifice everything to have a ski-in/ski-out hotel. This allows us to split up our days and head back to the chalet if fingers get cold, tummies get hungry or we all need a little break. Accommodations can range from hotels, B&B’s, AirBNBs, and chalets. Chalets are especially prevalent in Europe, and are a true delight. We love ski-in / ski-out resorts or nice hotels that are only a short car trip to the hill. If you’re on a budget it doesn’t hurt to do some research into the hostels in the area. The HI Hostel in Lake Louise – for example – has private family rooms for rent if you book early. What’s the terrain like? Some resorts are great for experts but not great for beginners. Our family doesn’t enjoy big mountain terrain just yet because our kids are still beginners. Luckily, we did some research ahead of time, so the resorts we’ve gone to have all been suitable. We also check the snow-school, to make sure they have appropriate options for the kids and the prices aren’t out of line. What else is there to do? Not everybody wants to ski everyday. Some days are just too cold. Access to spas, leisure centres, shopping, and other activities help mitigate boredom. If you have younger kids they might get tired of skiing after a couple of days. In addition, outdoors activities, such as XC skiing, snowshoeing, sleigh rides, bonfires, or hot tubing can be a lot of fun. Believe it or not, board games can help pass a day inside really well. Utah: Utah is an amazing state to ski in. The area around Salt Lake City alone, in the Wasatch Mountain range, is littered with resorts. They have incredible snow, incredible resorts, and lots of ski-in/ski-out services. We really like Deer Valley, but to be honest there are so many great places that any place you chose will be incredible. Vail: We love the terrain in Vail and so does everyone else! It can be busy and a little pricey, but there are still good deals sometimes. You need a car for many of the accommodation options, but if you’re patient there are shuttle services. Or, there is the amazing, luxury hotel, Arrabelle at Vail Square, which has ski-in/ski-out service with a covered escalator to the hill. Vail is better once the kids are a bit older. Whistler: Well, it’s expensive, but Whistler also happens to be a world-class skiing destination. You’ll hear lots of different accents and dialects at the resort. It’s a compact and fun village; tons of other services and an incredible hill make this worthwhile. This is our favorite resort in North America when we go with friends who aren’t big skiers! Tons of incredible restaurants, bars and fun in the main village. 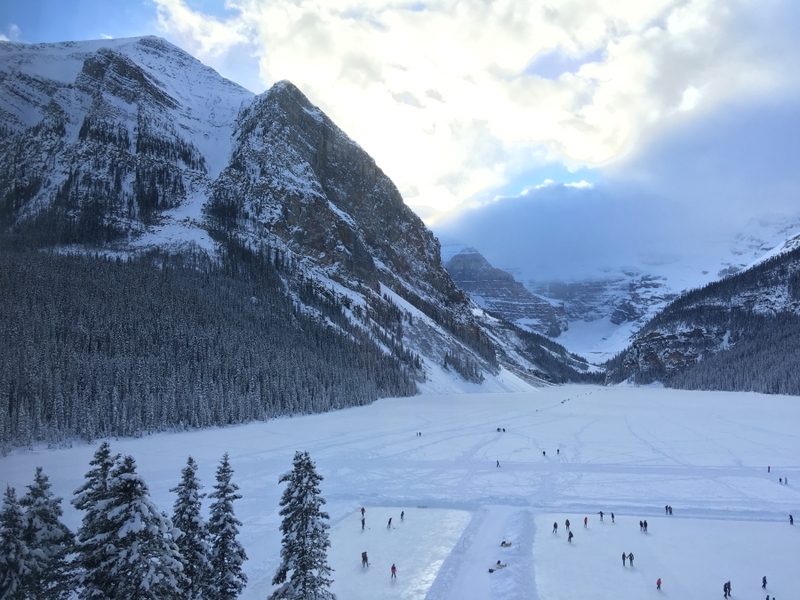 Lake Louise: You can’t stay on the hill, but the Chateau Lake Louise has wonderful deals in the winter, and – as always – they have five-star accommodations. 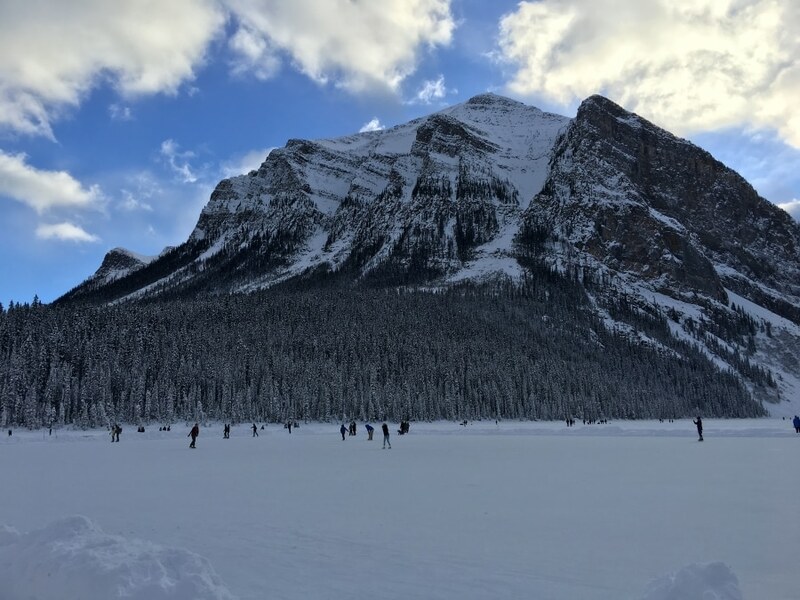 We also like the other winter activities they offer: incredible snowshoe and cross-country skiing, backcountry skiing into Skoki Lodge, an outdoor ice bar and sleigh rides. This place rules. Banff is a 30-minute drive away, which has all the diversions one could ask for. The Alps: This is as good as it gets. 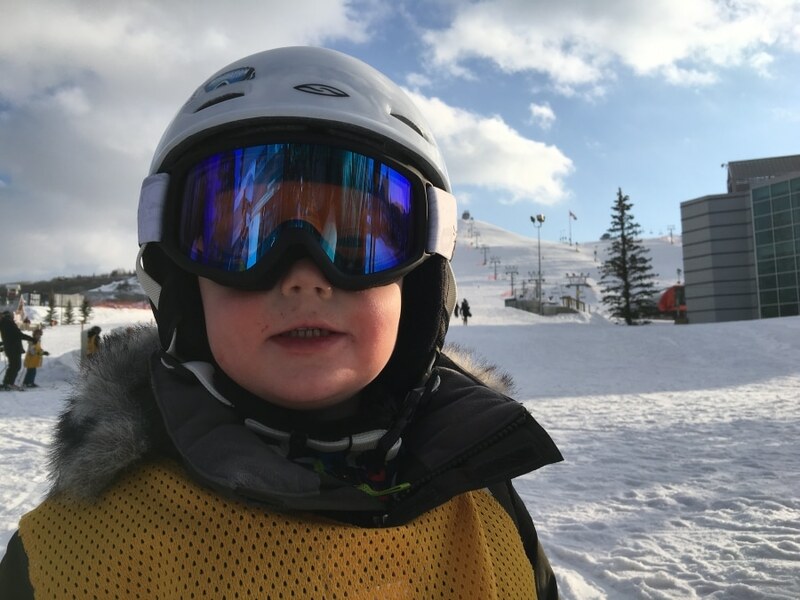 The true, “Ski-Alps” experience is pure luxury for parents. Find a family-friendly chalet and prepare to have the best week of your life, as a week in a stunning alpine chalet is about as picturesque and pure as it gets. Now, this means that you often share with other families, but if you bring friends you can take the entire chalet! You get a private room (often with en-suite) and then you have breakfast and dinner made daily. This means no cooking, no cleaning and you ski to your door. At the best resorts, you are close to a charming village, and you can experience European cuisine and nightlife, which makes for an incredible trip. The low season is just before Christmas and there are usually great deals. Just watch out for spring holidays, as the resorts get too crowded and not as fun. France, Italy and Austria are currently the best deals out there. Opt for a high resort as well, as snow cover has been poor the last few years. We love the Three Valleys in France for early season snow. Have you had a great family ski trip? Share your favorite snaps with us on Facebook or Instagram!